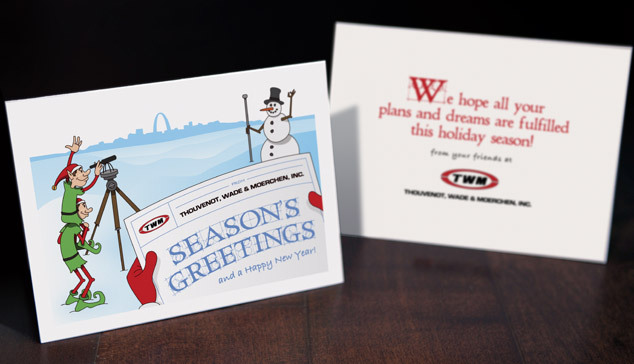 Visual Lure recently finished these two package designs for feline products developed by a St. Louis area pharmaceutical company. 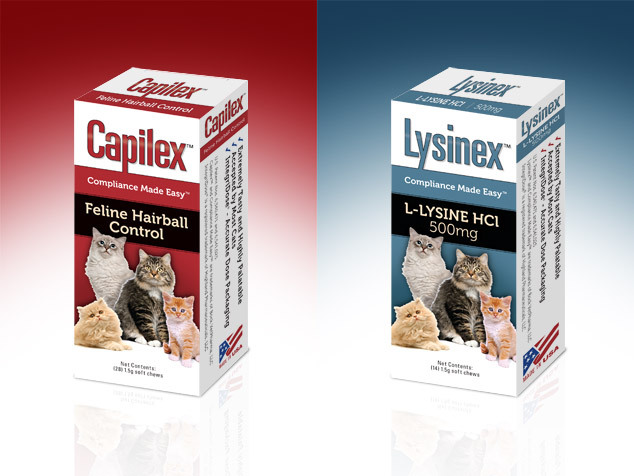 One is for feline hairball control and the other aids in the management of feline Herpes Virus-1 related diseases. 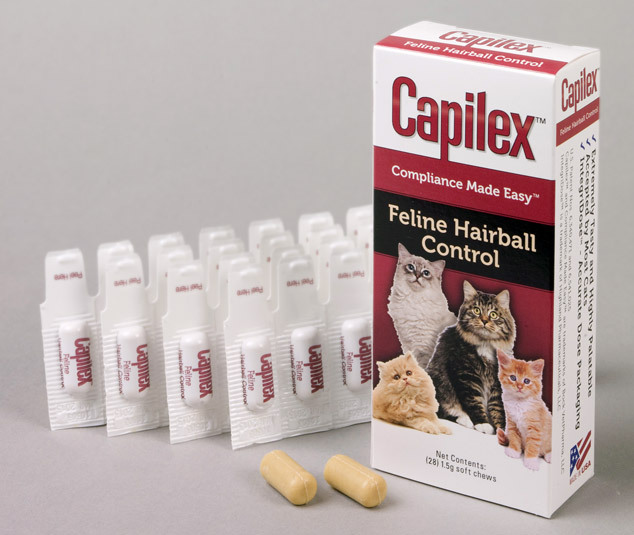 Unlike many cat medicines, these are pleasant tasting to felines, making them easy to administer for pet owners. These products are sold exclusively by veterinarians. UPDATE: The complete Capilex packaging design printed and photographed.